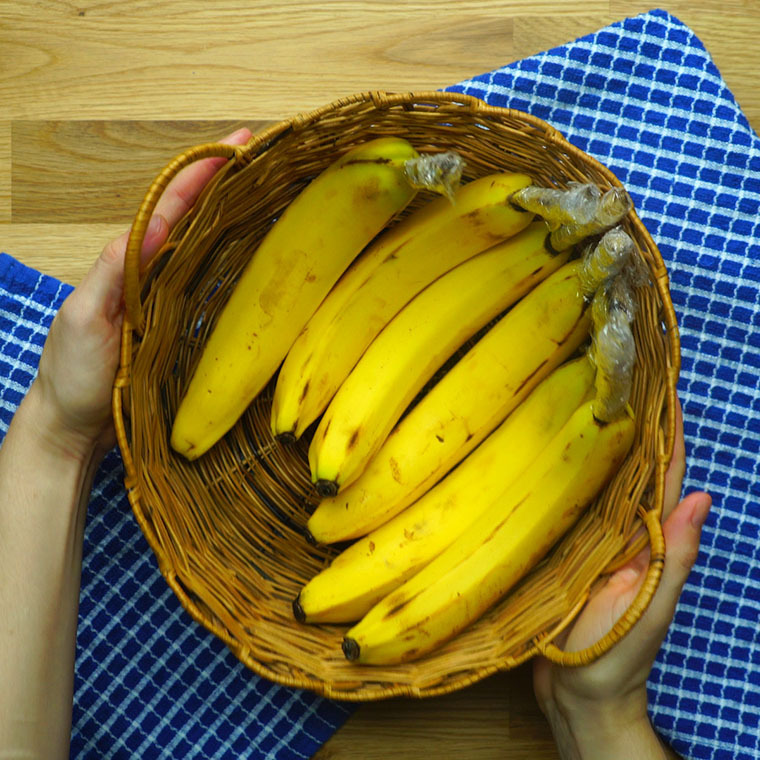 If you are a fan of bananas but find them ripening too quickly, there are a few tricks you can use to keep them fresh longer! 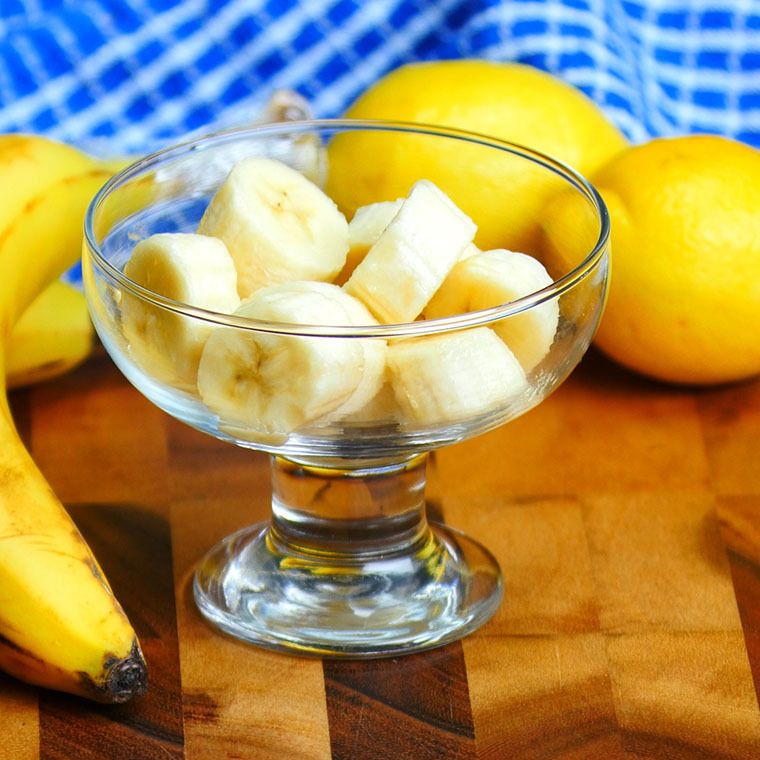 Bananas are a bit finicky, and keeping them fresh can be a hassle. 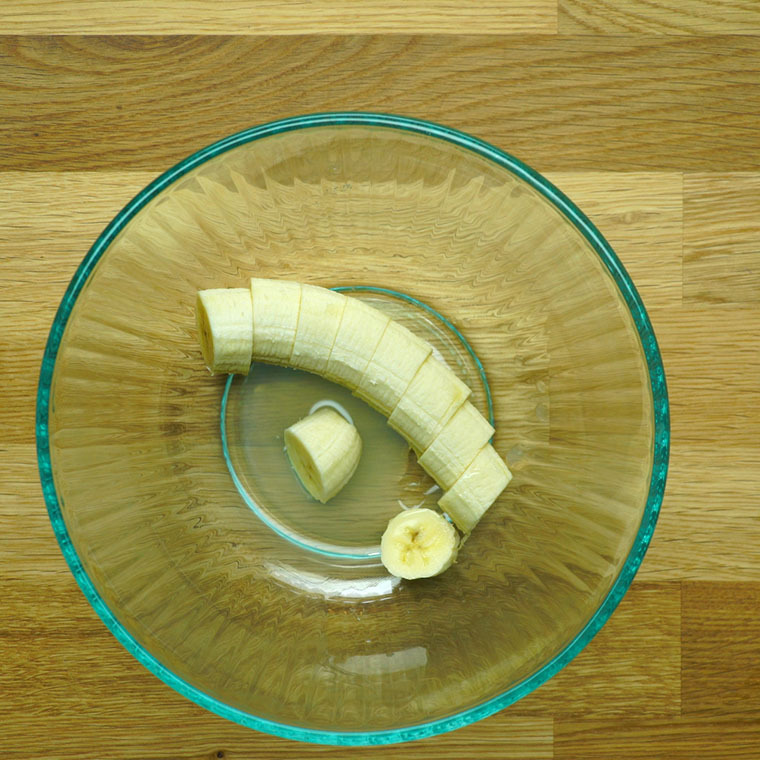 Luckily there a couple easy tricks you can use, one if you want them in the peel, and another if you have sliced them. 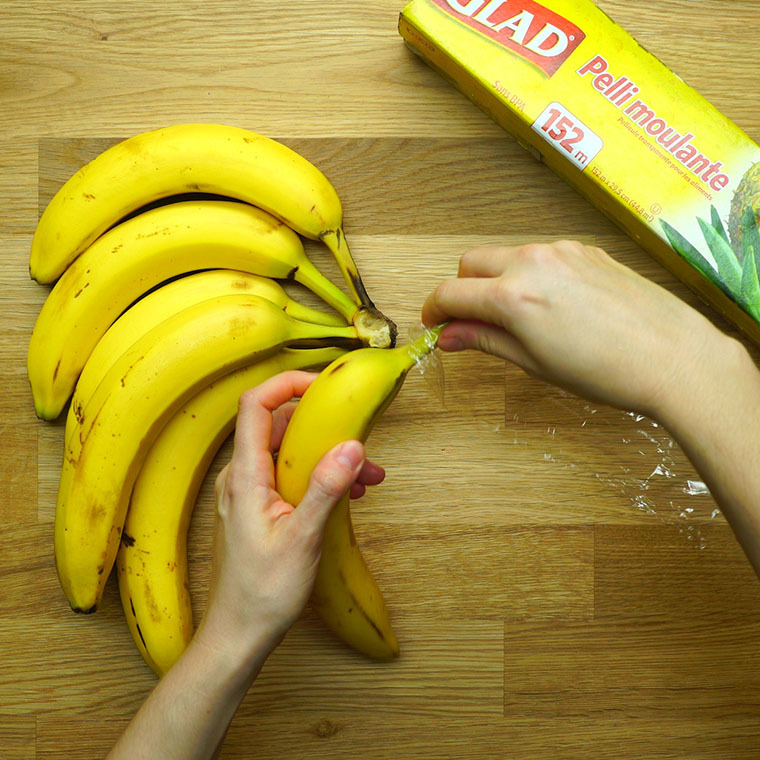 If your bananas are in the peel, all you need to do is separate each of your bananas. 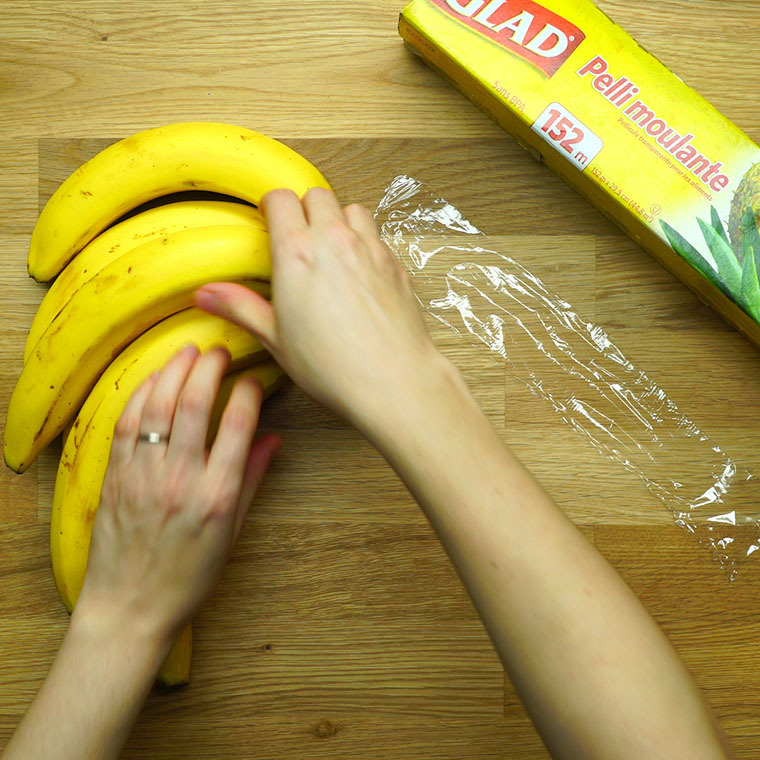 Then, around the stem wrap a little piece of plastic wrap. 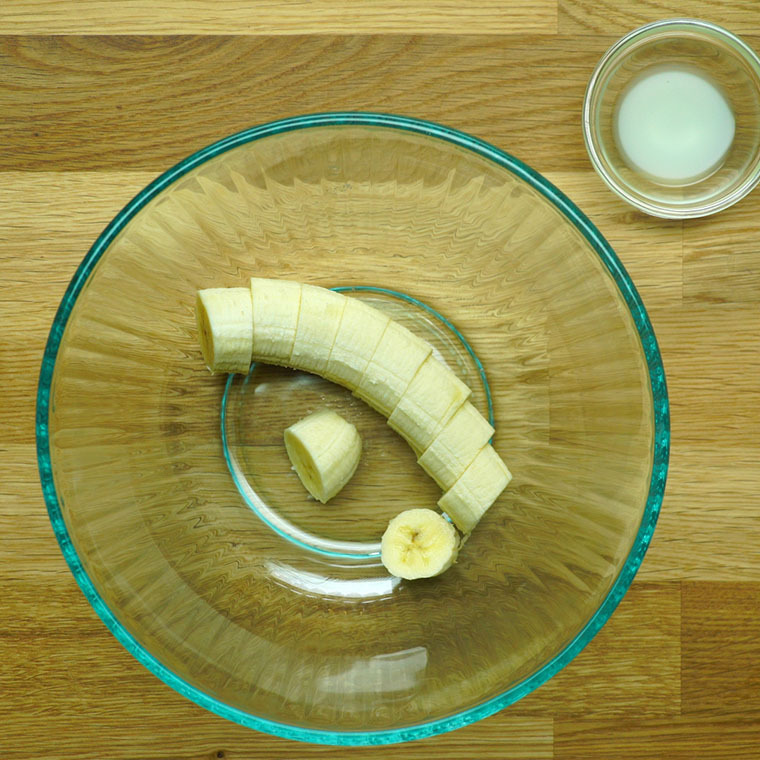 This will actually slow the ripening process really well! 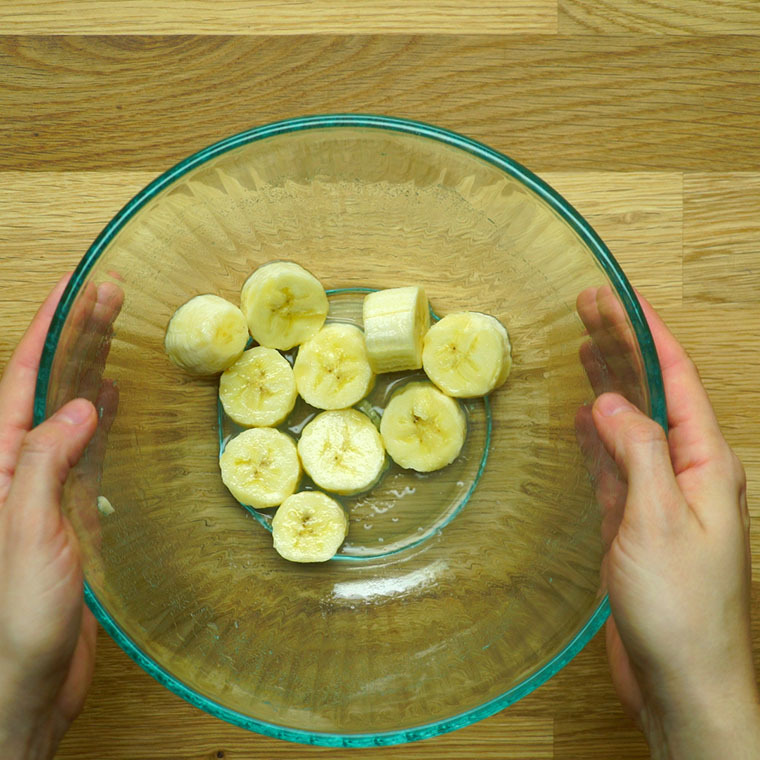 For sliced bananas, all you need to do is put them in a bowl and toss with 1 teaspoon of lemon juice. 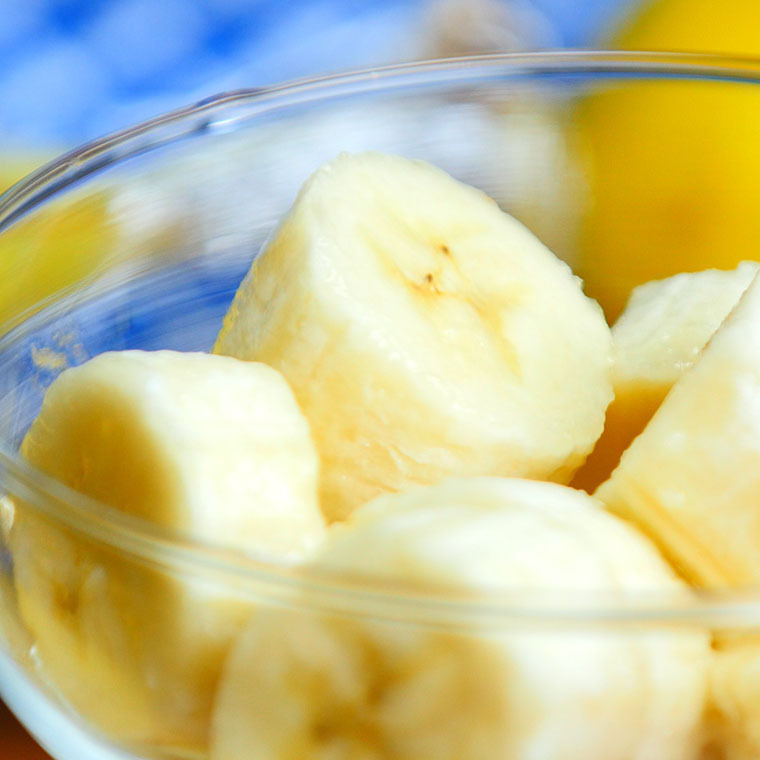 This will keep them from turning brown before you have the chance to eat your yummy snack!